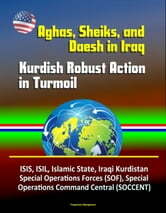 Professionally converted for accurate flowing-text e-book format reproduction, this report thoroughly examines the patronage nature of Iraqi Kurdistan since WWI and provides insight into individuals from minority groups and political parties that are structurally located in positions of brokerage and influence. The conflicts in Iraq and Syria are protracted civil wars with multi-state and non-state actors vying for influence. Iraqi Kurdistan is arguably the most important partner for the United States in our current fight against Daesh, which has exploited the factional politics of Iraq. Special Operations Forces (SOF) will be maintaining persistent engagement in the region for the foreseeable future, and must understand the formal and informal relational structures that underpin these conflicts. This project is a social network and social movement theory analysis of the power structures of Iraqi Kurdistan. 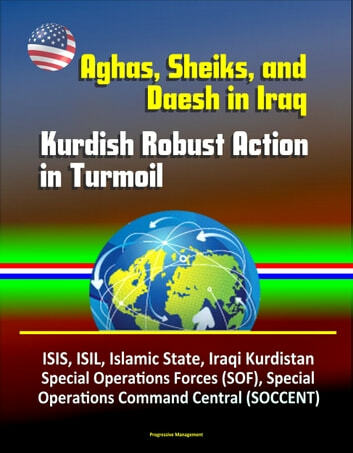 It attempts to provide more awareness to Special Operations Command Central (SOCCENT) and U.S. policy makers on the patrons, influencers, and brokers that they can leverage in their efforts to understand and influence the Kurds. Furthermore, the conflicts of the future will likely involve protracted, multi-factional, intrastate civil wars, where the lessons learned from the Kurdish situation will serve future SOF well.